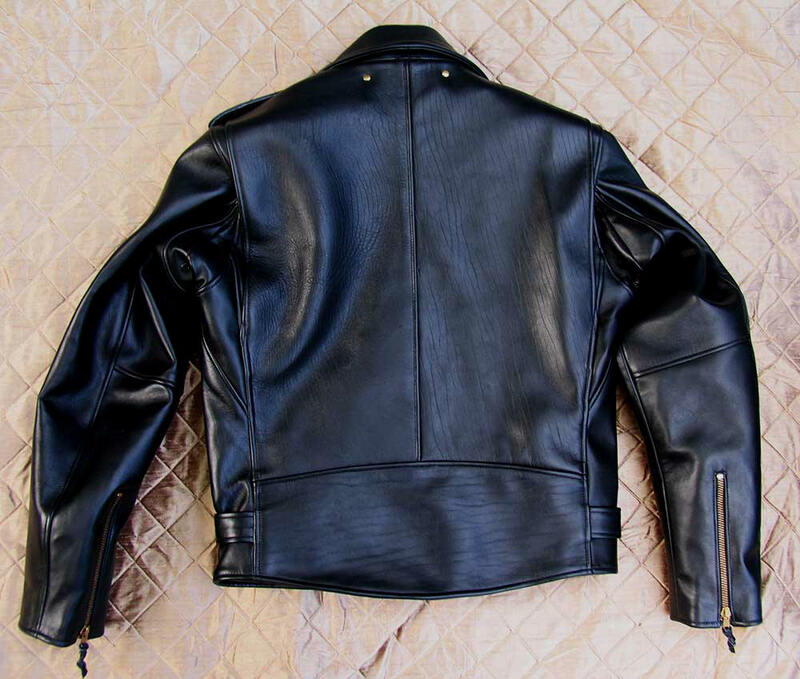 Our perfect salute to the popular 1950s classic vintage motorcycle jacket once widely available from multiple manufacturers as well as Montgomery Ward and Sears catalogs. This design and its many variants, iconized by postwar rebel Marlon Brando in THE WILD ONE, became mufti for biker and bikeless gangs, then, later, punk and mainstream rockers in awful knockoffs to this day. (Many things which achieve popularity begin earnestly then degenerate into farce as they descend the social/intellectual ladder.) 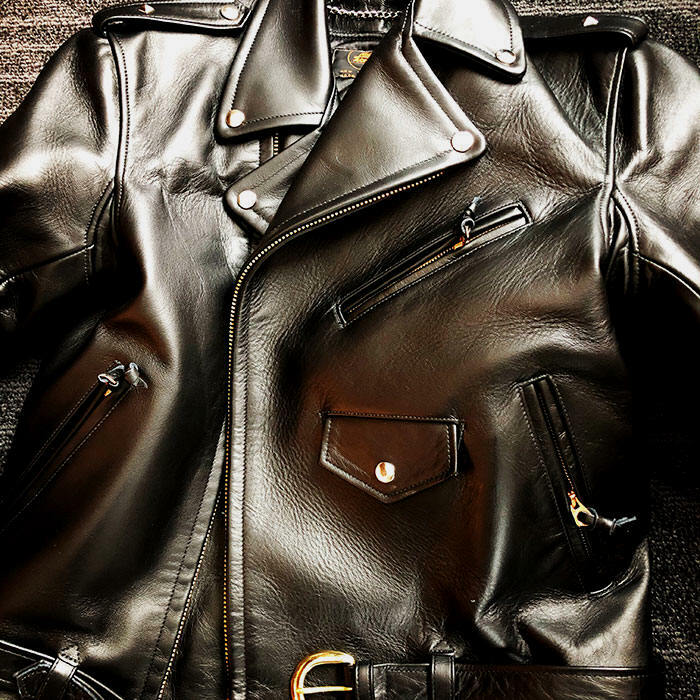 The laughable imitations are common; the originals which came to define the 1950s motorcycle jacket through circulation and Brando vibe largely forgotten. The LOST WORLDS SPEED DEMON, typically, raises the bar light years even over the original in hides, workmanship, durability and riding protection. 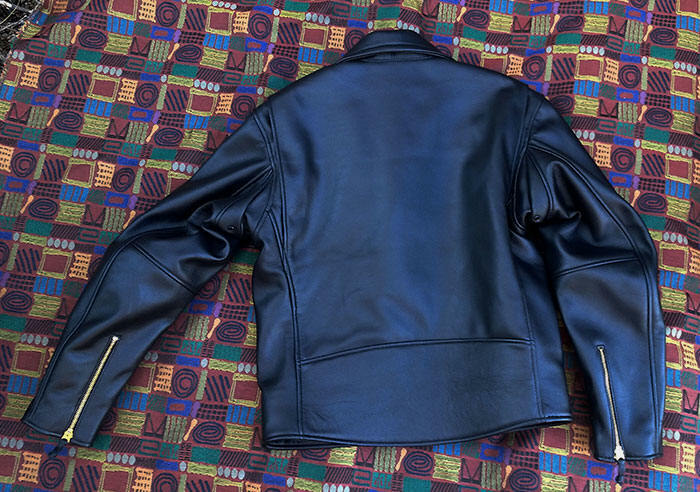 LOST WORLDS Horsehide -- (3.0 - 4.0+ oz. customer preference) Chrome-Tanned at our own tannery. 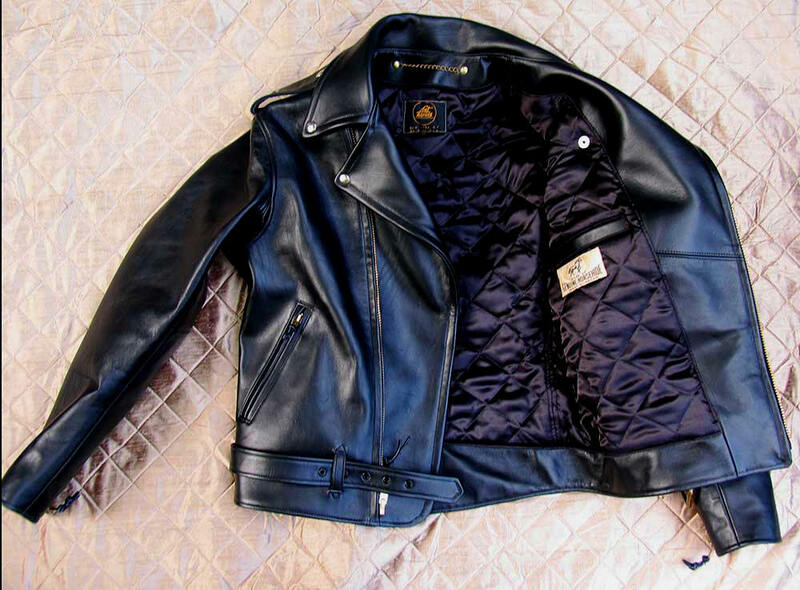 (Original jackets rarely reach 3.25 oz.) 100% American. 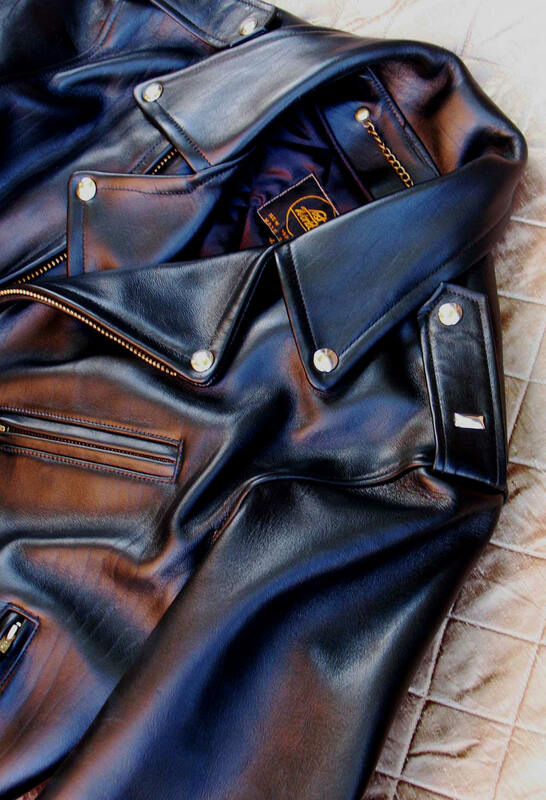 The benchmark for true high-performance jackets. Extraordinary water repellency. Magical natural figured grain, armor-like strength. No fakery, antiquing, overdrumming, plastic bonded leather scamming, oil tanning. Won't bleed, bleach, run, mottle. So durable your kids' kids will inherit it. Not fashion -- bedrock Americana. Consider our stitching, seams, detailing. 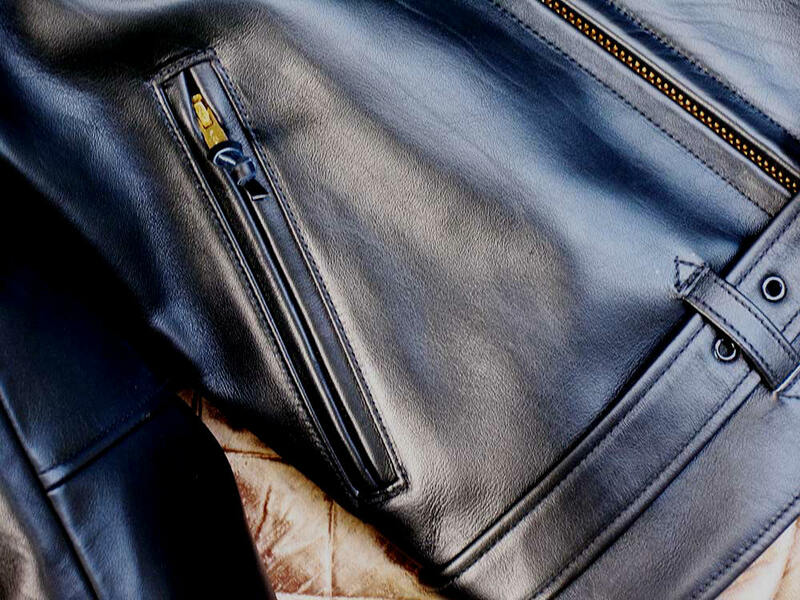 Serious riding gear sewn to artisan, heirloom standards without challenge or compromise. 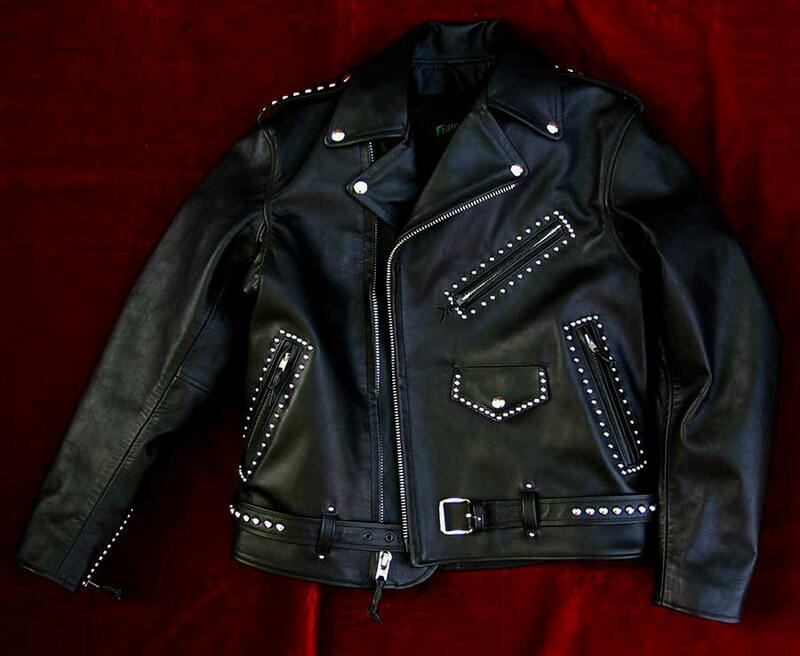 Why go to these extremes for a motorcycle jacket? Because we can. The integrity and ruggedness of LOST WORLDS construction and materials have kept fallen riders in one piece. Awakening awareness that craft is indivisible from function. Our materials, per originals -- NOS American Scovill and Talon Brass Zippers. Genuine Heavy Duty 100% Nylon Quilted Lining. Attached Horsehide Belt with genuine Brass Buckle. Nickel US Snaps.1951 NOS Military Cotton Webbing. Antique Brass Neck Chain. A vintage riding gem idealized by LOST WORLDS, not as some wannabe poseur paper fashion tracing, instead to recreate by perfection and refinement the SPEED DEMON before the cartoonish imitations and dumbing-down. Beyond cool but first and foremost dedicated, primary motorcycle equipment. Everything else -- the beauty, cojones, presence -- is gravy, and what gravy! (Is it a mixed metaphor to call cojones gravy? Seems contrary to the whole concept in a v. dentatis kind of way. Ouch.) 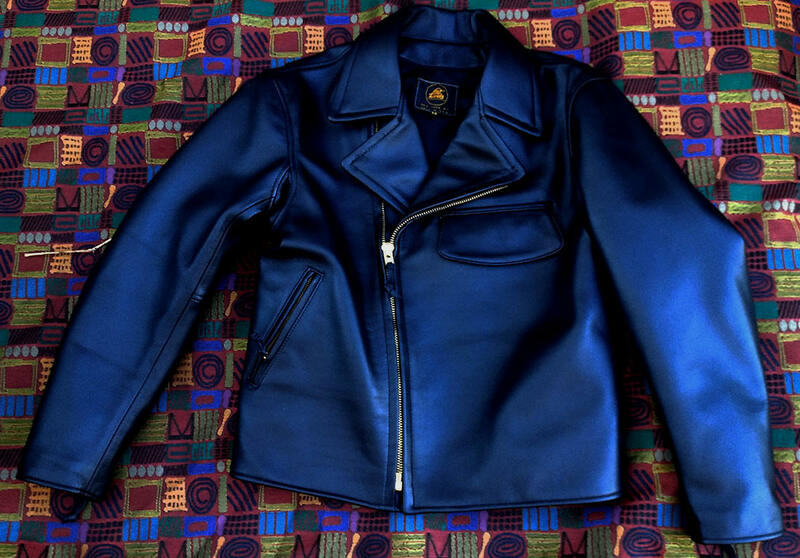 A killer jacket and statement. After 21 days of customer ownership -- rain, snow. Great genuine American Horsehide grain already. "Stuart, The Speed Demon arrived and of course the 40-Reg fits perfectly!! 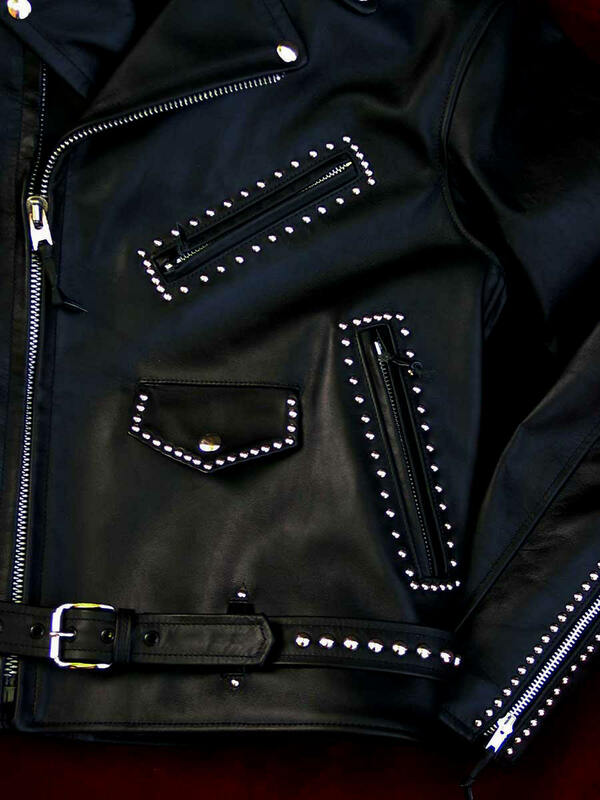 ... it's an awesome jacket and for the classic 3-pocket MC jacket this is as usual The Ultimate Cadillac of all Jackets! My Buco J23's are so unique and look so great and the style is something nothing today compares to but the Speed Demon is easier to move in with the under arm gussets. Gussets really work beautifully because they are designed right and also properly sized and positioned in the jacket for correct function, not just there for looks. Really nice!! You have out done yourself again! It's just so amazing (as are all LW jackets) Always wanted one jacket in this classic style but the (Deleted) etc are so very (Deleted) never bought one, then your Speed Demon came to be! Wanted this prototype because one its cool to have the prototype but mainly two the grain (shoulder? With the Zebra stripes?) 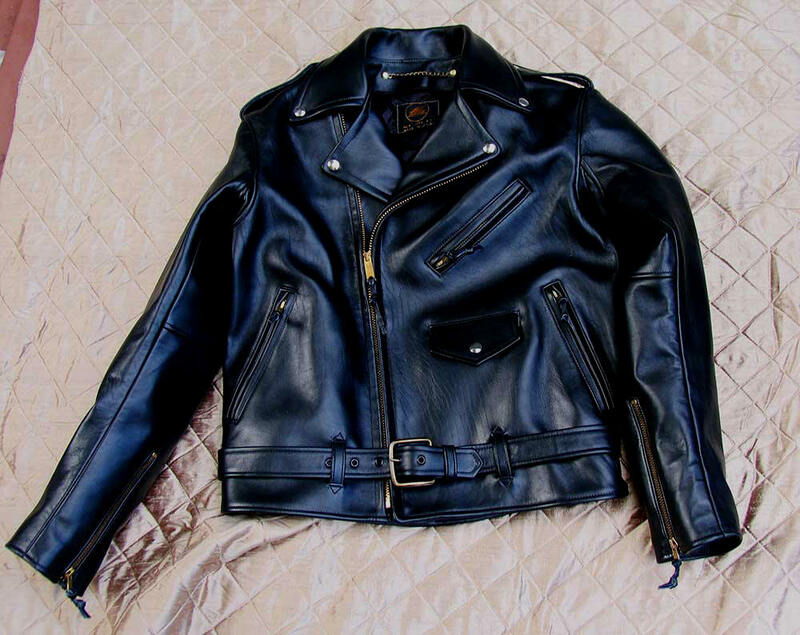 is just ALL OVER every piece of leather and probably wont happen again by chance on another jacket. 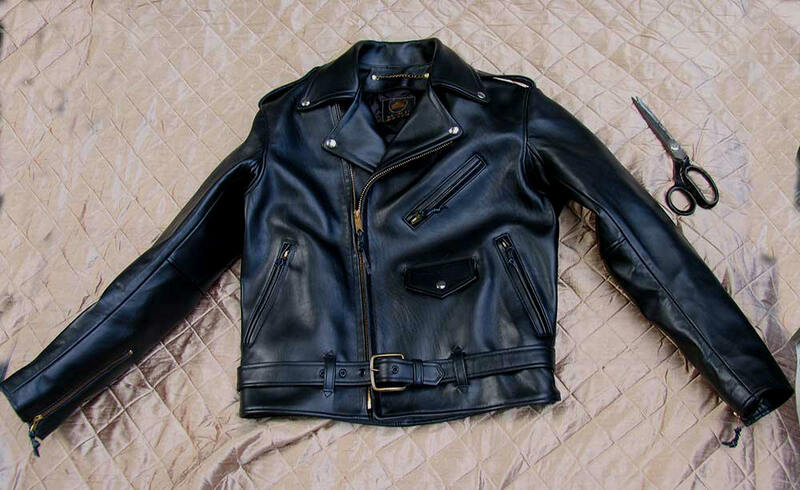 Once again the leather is superb++ and the workmanship unsurpassable by mortals. Who sewed this one just out of curiosity?" "Thanks for the FAB Speed Demon jacket which I collected from the Post Office today. Sure lived up to expectations for durability, craftsmanship and all round good looks of the leather and construction. The roads are still salted here and so no bike riding yet and a chance to sport the new jacket - something for later. Thank you very much." "I got my "Speed Demon" jacket in the mail today! Once again, the sizing is dead on balls accurate. Wow! I'm speechless sir. It's a beautiful American made garment -- artisan quality construction. 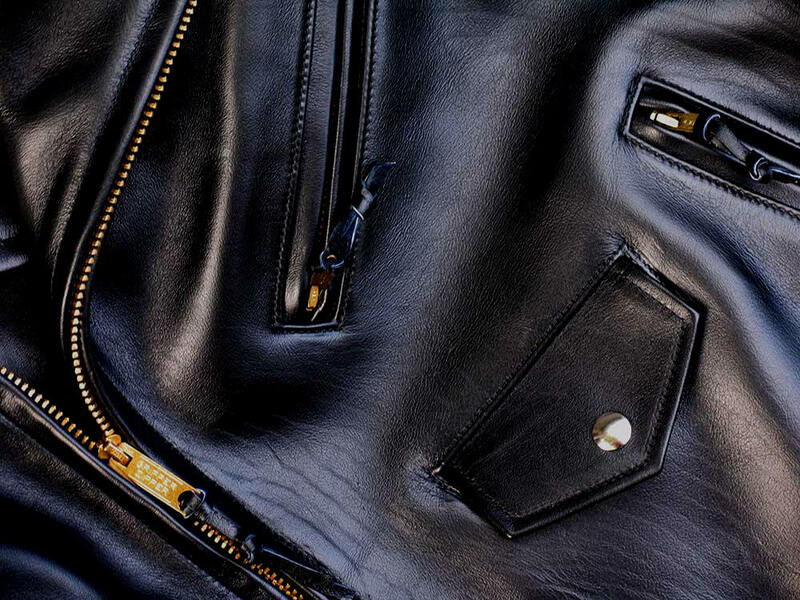 The quality of your horsehide is nothing short of superb. 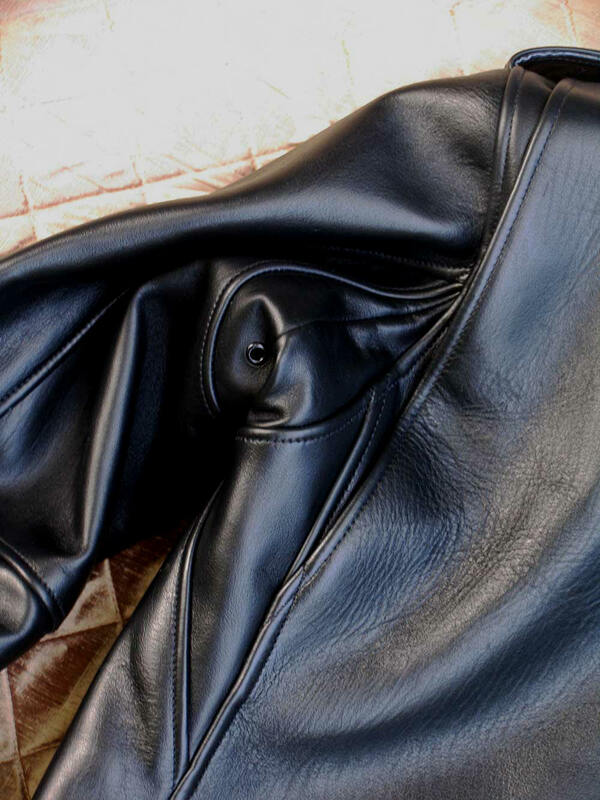 It's incredible how body warmth affects horsehide, making it buttery supple. It already feels as comfortable as an old jacket that I've been wearing forever. My cop buddies are going to drool over this one. Again, thank you for your outstanding workmanship/business." w/ Modified Buco PJ27 Badge Pocket, Hidden Snaps, etc.